Activist Hani Hanna, known to many as the preacher of the revolution for leading Christian prayers in Tahrir Square during the 18 days that led to the ouster of former president Hosni Mubarak, has been on hunger strike since 9 April to protest what he says is prevailing injustice. 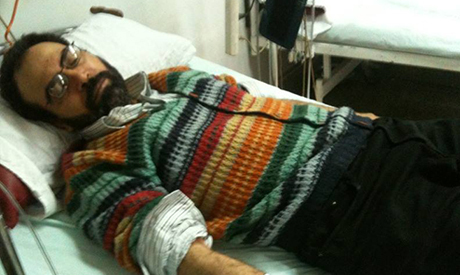 Hanna, who entered his seventh day of the hunger strike on Tuesday, took to Facebook to denounce a rise in killings and hatred across the country, as well as unjust laws and gaps between the rich and poor. "Killings against members of the army and police as well as people … real revolutionary young people are arrested and imprisoned while corrupt leaders are either living in luxury inside prisons or are completely set free," a disenchanted Hanna wrote on his Facebook page. Speaking with Ahram Online, Hanna said that his strike is meant to be a message to society that the current state of affairs in Egypt cannot continue. He said he will only end the strike when he believes his message has reached enough people. "The old regime is trying to recreate itself, and fast," he told Ahram Online. In his Facebook statement, Hanna slammed the new protest law issued last November which requires protesters to obtain a permit from authorities in advance of demonstrations, describing it as unconstitutional and "only applying to peaceful revolutionaries, while regime supporters and non-peaceful protesters are left alone." Hanna further criticised "a lot of misleading media" which he said was working to "divide the country and deepen the polarisation and hatred". 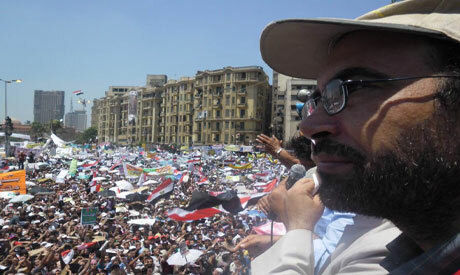 The Coptic Christian activist also railed against Egypt's huge class gaps, describing them as "acts of organised theft". He slammed officials who ask citizens to be patient regarding the country's deteriorating economic conditions. "Those who take dozens of thousands and millions address the people, saying 'be patient' … For example, a minister who gets tens of thousands, asks citizens to be patient …. Why don’t you (minister) provide the example yourself and give up part of what you take?" he said. Hanna finally criticised the government for its inefficiency and lack of vision. Hanna is an archaeologist and general director at the antiquities ministry. He is a member of the Higher Institute for Coptic Studies in Cairo. You advocated false premises and violence under merciful Islam. You are very dangerous person for public and believers. Allah Akber. Why have difficulty accepting he is Christian? Did you read the article? It definitely states that the man in question is a Coptic Christian. His views are much more palatable than the current government's, and certainly less dangerous. One day, this guy's vision for Egypt will prevail.